The pictures are old, but the commitment is alive and well if you visit Schaller Lumber with locations in Arkansas, Missouri and Oklahoma.They have a special discount page on the internet dedicated to fulfilling the lumber needs of woodworking programs in schools. I am beginning design work on a table for friends and shopping for white oak or sycamore in large dimensions. A friend recommended Schaller Lumber and I was surprised to learn of their continuing commitment to industrial arts. 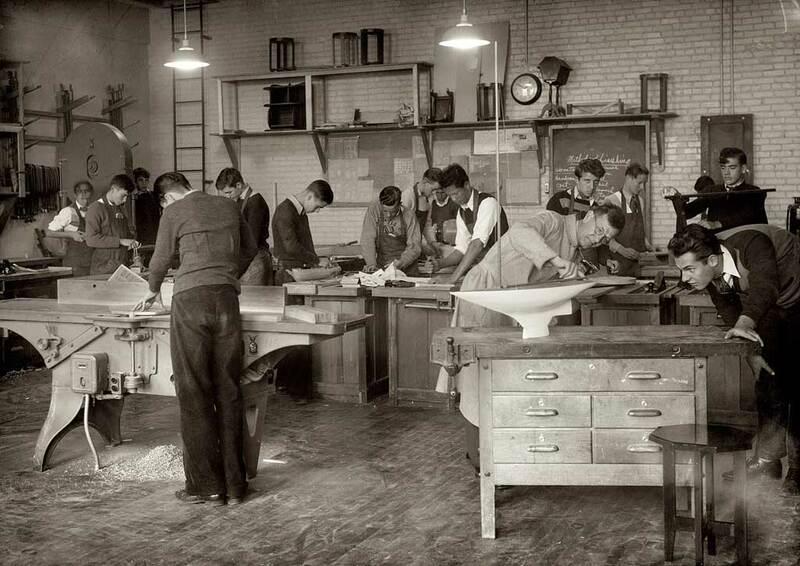 These lovely old photos of students at work are from their site. And just in case you thought school wood shops were dead, at least that's not the view of Schaller Lumber. I am cleaning my wood shop in preparation for a studio tour this weekend, and in the Clear Spring School wood shop, I am preparing for the receipt of a new wood lathe. Make, fix, create, and provide for others to learn likewise. Each will be glad you did. This morning I am up early and having found a pig in the trap, I'm anxiously awaiting daylight, so it can be put down. The blessing of having feral hogs and a trap is that I get out early in the morning before light, and am thereby engaged in the wilderness and in nature in ways I would not be without that threat. It was not until February of this year that feral hogs in the surrounding forests had gained in such numbers (and size) as to tear up the stone walls and gardens around our home. 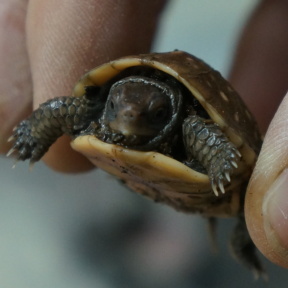 Now, after having killed 30, they are less a threat here on our property, but are still in rising numbers all around us. So trapping, and rising early in the morning before light may go on for some time. We've estimated the size of the one caught this morning as in excess of 250 lbs. It is surprising what goes on around here at night. We use a game camera to observe around the trap. We have foxes, coyotes, armadillos, an army of raccoons, and squirrels, in addition to deer and pigs. My new book Making Classic Toys that Teach is now in the hands of some readers, and hopefully, the reviews will be good. 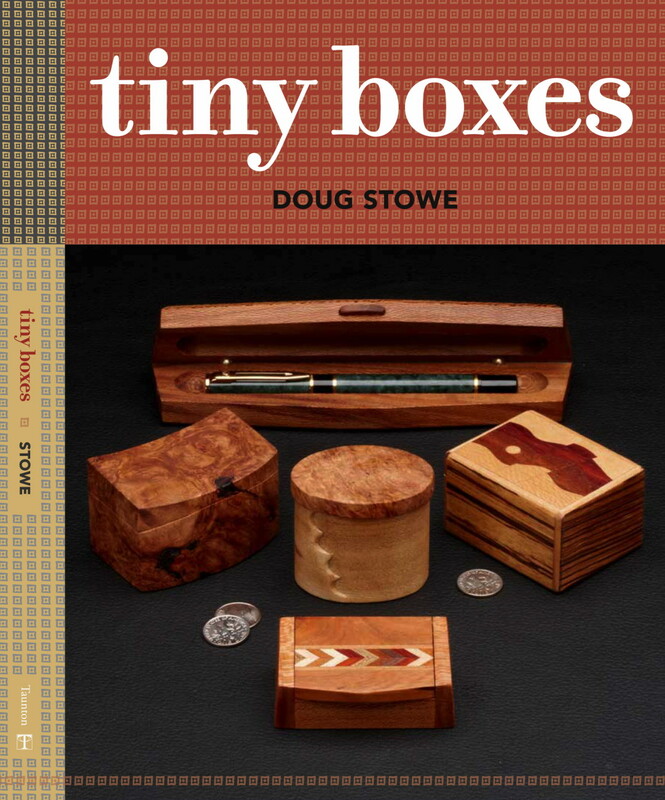 My other new book, Tiny Boxes is in the warehouse at Taunton Press and should be ready to ship soon. Marc Adams School of Woodworking is now registering for next summer's classes, including my own on box making and making Froebel's Gifts. Go to MarcAdams.com to register. Make, fix, create, and give others the encouragement to learn likewise. Yesterday we had our annual Clear Spring School harvest party, and I had the pleasure of introducing preschool children to making tops. I also enlisted the help of a friend to clean the barn, removing various pieces of wood that I've decided will no longer be of use to me. Today is the start of my fall break, which will give me a chance to finish up some writing chores. And begin making a dining table for a friend. Make, fix, create, and offer others the encouragement to learn likewise. Today we have our annual harvest party at the Clear Spring School, so children have planned various games to entertain each other, and children will be dressed in pioneer or early American garb. I will have a DIY wagon repair shop, where kids can make wheels and tops. The children from pre-school will attend. 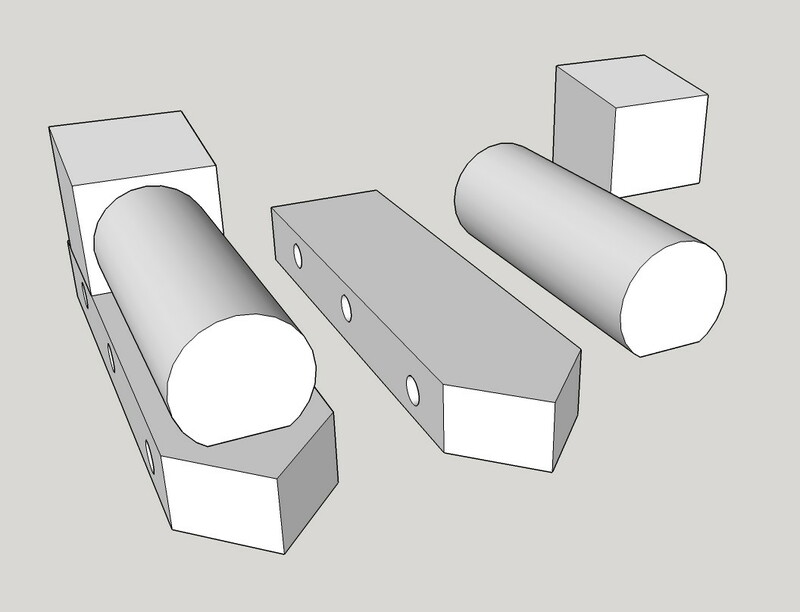 I have been reviewing the article I worked with an editor to produce for Fine Woodworking magazine, and I'm disappointed that specific hinge types are not mentioned in better detail as to who made them and where they can be acquired for use in making boxes. It seems like that is so often the case in publications, as there is only room for so much. I have asked whether additional information can be given online to interested readers. make, fix, create and offer others the encouragement to learn likewise. Carl Wieman is a Nobel Laureate who teaches in Stanford University's physics department and Graduate School of Education. He's an advocate for quality active learning in science classes: limiting lecture and textbook time in favor of small-group problem solving, with the teacher as coach. He took a look at some sample questions we sent to him, saying many of them are shallow, asking for recall of terminology or facts. 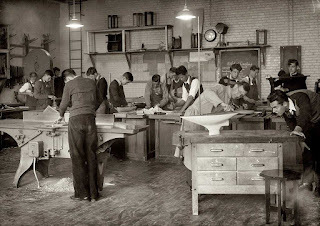 In fact, woodworking was begun in schools to give students a leg up in the understanding of math, and engineering, and children benefit most from those things that cannot be measured in standardized tests. For examples, art and music, instrumental or otherwise, offer opportunities for growth that classroom learning does not. Yesterday in wood shop, one of my 4rd grade students made one of the cutest toys, as you can see in the photo above. Today I am spending time writing, and designing a new dining table for a friend. Make, fix, create, and extend the opportunity to learn likewise. The assumption is made that human beings are individually conscious and have the individual capacity of free will, and that no other species (plant or animal) has such attributes at the same level. But what we learn through psychology is that human beings are driven in large part by the unconscious mind. What we learn from those studying the forest, is that trees communicate with each other in a variety of ways, thus displaying behavior akin to human consciousness. These forms of communication are shattered when whole forests are cut. Individual trees may play important roles in community life, just as an individual human may take a leadership role in his or her community. Taking place slowly through an interchange of chemicals most humans would not equate the forms of communication in the forest between trees as being anything like speech. Nor would they consider such evidence to suggest that trees have human like emotions and feelings or consciousness. But the line between forest culture (silviculture) and human culture has become blurred. As we study human consciousness (or lack thereof) and forest consciousness (that some might dispute) we find that we are much more like trees than most are willing to assume. It is truly amazing how closely silviculture resembles human culture. Man is a symbolic animal in that we use and create metaphors to express things that had been previously inexpressible or inexplicable, to extend our own range of understanding, and to propose solutions to problems. The house, tree, person test in psychology, in which a child is asked to draw a tree is a way for the psychologist to gain insight into the growth and development of the child. Unlike a child, a tree displays its injuries on the outside, and where the child draws a knot hole, he or she may be describing an injury from the past. The point, of course, is that we make too many assumptions about life, and about our humanity and our relationship with the rest of creation. In the process, nature is diminished, and students are not seen or understood in their full dimensions. NPR had an article yesterday that asked, What are the main reasons teachers call it quits? Some might be surprised that money has so little to do with it. But a school is like a forest. When a teacher's roots are allowed to grow deep and become intertwined in fertile soil, good things come forth. Today in wood shop, my first through 6th grade students will make toys. Make, fix, create, and encourage others to learn likewise. My middle school students made a first attempt at making lids for their Shaker boxes, but I am encouraging them to try again for a better fit. I explained that the second effort often takes less time than the first, and offers better results. Why would that be? Practice. The box shown in the photo above is one of my demonstration boxes from the Marc Adams School of Woodworking. In addition to shipping boxes, working on my box guitar book, and teaching at Clear Spring School, I am getting ready to participate in an artist's studio tour, November 4-6. Click and print the invitation at a larger size. 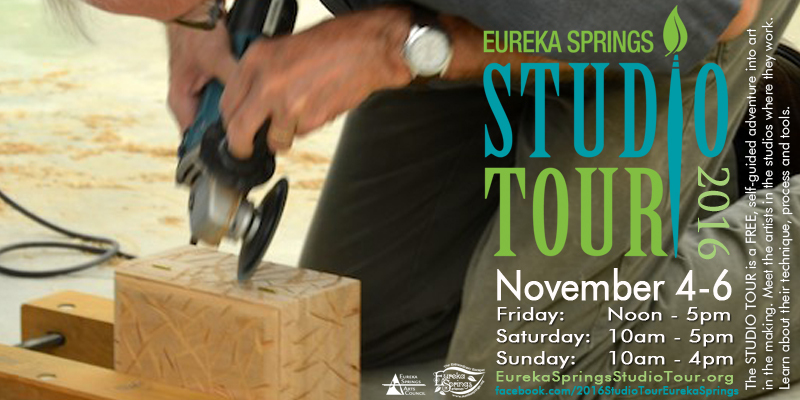 Come by and see me if you are going to be in the Eureka Springs area. It's a time I will be setting aside for guests. Make, fix, create, and extend to others a chance of learning likewise. 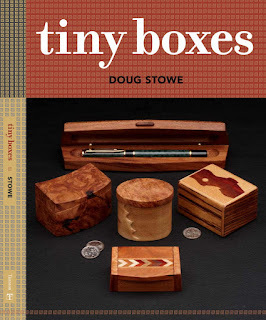 I received my first copy of Tiny Boxes in the mail today, along with the promise that I'll receive more when they arrive in the warehouse during the next two weeks. You can order from Amazon.com in advance of its arrival or wait and order from Taunton Press, offering me the advantage of an extra commission on the sale. I will post a link for that later when one is available. In the meantime, Make, fix, create, and offer others at least a chance of learning likewise. One of my readers, Stan, sent a link, Metamorphosis: Art School outreach breathes life into QKE’s arts education from the Honolulu Art Museum about teaching science and the arts. The article features his grand niece. It is certainly true that there is a very fine line between science and the arts, and that schools acted with utter stupidity when they formed classes in which one neglects the other. The arts without science are often lacking what's needed to create great art, and science without the arts? Same deal. I am reminded of a story told by a friend whose son became a physicist in Chicago. He was told they would have to wait over the weekend and put in an order for the machinists to prepare a device before continuing their experiment. Being the son of a carpenter, he went to his local ace hardware store instead, and had made what they needed before his co-workers showed up on Monday morning. The video is something math, science and art students should be studying and offers a pantograph they can make. 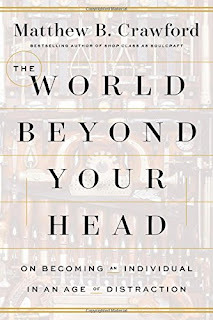 If you listen all the way through to the end of it, there are some nice words about measuring your world, and making things so that you know how to draw them and better understand the world around you. I have in mind the need for an art museum in my home town of Eureka Springs, but it's not just because we are a town filled with artists, and it's not just because there are collectors who would like to contribute works to a new museum, but because a small museum would tell a very special story of relationship and the way a community of artists and patrons in a small town can encourage each other's work. Last night we held the Mad Hatter's Ball at the Crescent Hotel in Eureka Springs to support the Eureka Springs School of the Arts. Each year, the ball features a silent auction in which various donated works of art are sold in support of the school. The quality of work is always amazing. The story told consistently in our community is of artists who are generous with their time, whith their work and toward each other. A small museum might serve as an example to inspire other small communities to foster the arts. In the arts, we are reminded to look not just at form, but at the negative space between forms, and in community, we are reminded to look not just at the objects as distinct and separate, but at the relationships that enabled them to be created. Yesterday in the school wood shop, my high school students worked in their shaker boxes. In my own shop, I applied a second coat of Danish oil to boxes, preparing them to ship. Make, fix, create and offer others the opportunity to learn likewise. Anaxagoras: Man is the wisest of all animals. Yesterday I had a conversation with a man who builds some of the world's finest wood lathes, and we talked about how difficult it can be to explain (and teach) things for which we have (as yet developed) no words. We would each be hard pressed if we were to have to explain ourselves so that others could completely understand what we do, why we do it, and the guiding principles upon which what we do is based. It is far easier to let our inner guidance act upon our feelings and sense of self to simply create. But reflection is a good thing. It is important that we think about what we do, as a means of clarifying our own intent. A friend of mine had joined a writer's group, and it was explained to her (as encouragement for her to join), that the value of writing was not just the writing itself, and what might emerge from it, but that writing gives insight into what we feel, what we know, and who we are. I urge that, too, upon you. It is worth writing, if for no other reason than to better know who we are. Yesterday I did the inevitable quarterly work at my desk that's a requirement of being in business. I also applied Danish oil to boxes, touched base with a few old friends from my teaching world, like Alan Lacer and Bob Flexner, both of whom I know from Marc Adams School. 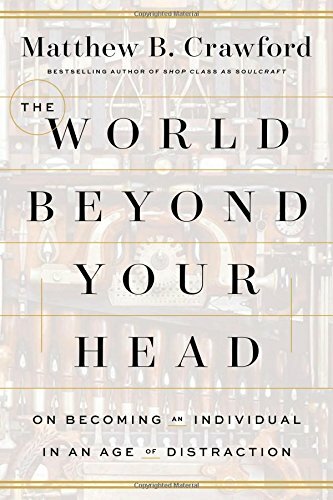 I heard from a teacher in the Boston area, that based on what I shared with him, all his woodworking students are instructed "that their brains are in their fingertips." 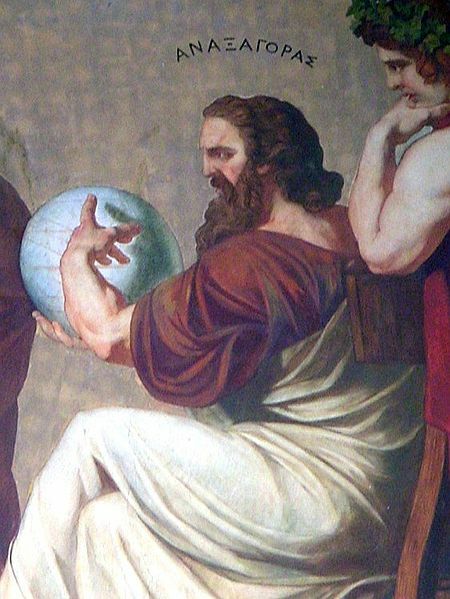 The illustration above is of Greek philosopher Anaxagoras who said, "Man is the wisest of all animals because he has hands." So what is the proper relationship between teaching and learning? We learn when we do things.The teacher's role is to ask students to reflect upon what they've done. Make, fix, create. Encourage others to love learning likewise. Yesterday at the Clear Spring School we began a toy making project that we do each year at this time, making toy cars and trucks to give to the local food bank for holiday distribution. I make wheels by the hundreds using this simple device on the drill press that holds the wheel blank centered on the table for drilling. The centering clamp is made from a lathe chuck, and makes the process simple enough that the children can drill their own axle holes. Today I will go back to my writing, and attempt to get two chapters of text complete for my box guitar book. I am also ready to apply a Danish oil finish to boxes. Make, fix, create, offer others the encouragement to learn likewise. As you can see, I continue to make boxes, and will probably do so until I can make no more. These have been relatively unchanged since I introduced this design in the early 1980s. But they still gather questions from fellow craftsmen, "How'd you do that?" Today in wood shop at school, I'll have students in first through 6th grades, and will attempt to interest them in toy making for others. Make, fix, create, and suggest by your example, that others may love learning likewise. The North East Association of Woodworking Teachers, NEAWT, has been meeting since 2001 and just had their biannual meeting from which has come a discussion (via email) of standard safety instruction that various members offer their kids. For many, it has been a practice to offer safety sheets to each student at the point at which various machines are introduced. The purpose, it is agreed, has less to do with the appropriate and effective theory of instruction, and much more to do with covering the school from a liability standpoint. If someone is severely injured using a power tool, parents and attorney's are automatically convinced that it has to be the teacher's fault, and by having evidence that each student has been instructed in the rules regarding each machine, has been effective in keeping the lawyers at bay, when various bad things have happened. On the other hand, rules of instruction derived from Educational Sloyd and based on observation of how students actually learn would make it clear that starting out with safety sheets is not the best approach. Instruction should proceed from the easy to the more difficult, from the known to the unknown, from the simple to the complex and from concrete to the abstract. Safety sheets are abstract, particularly for students who've had no experience using a particular tool. I have noticed among my own students, a growing aversion to paper. Sheets that are passed out are of little or no interest. Is that related to a growing sense that what's on-line and comes through magical digital devices is of superior significance? Who knows. But starting from the abstract form of something on paper is not the real deal and children know it, just as Pestalozzi's student wondered why they were looking at a picture of a ladder when there was a real one in the shed. An approach that I liked best among those described by members of the NEAWT was to do an actual hands-on, and closely controlled and supervised use a a tool, followed by the safety sheet, safety test and signed contract with the student regarding safe tool use. For overly large classes, using power tools, this seems like the most reasonable approach to keeping children safe. Today I'll be at work in my own shop making boxes. The photo above shows the work of a new 3rd grade student visiting the wood shop during yesterday's classes. Make, fix, create and offer hope that others may love learning likewise. a misinformed and unsophisticated sense of reality. I awakened in the middle of the night concerned about the interconnection of all things. No thing exists in isolation from other things. And yet as a matter of convenience, we are taught to call certain things by certain words, and our communication with each other is eased by using correct terminology. But a hammer without a use, or a history of use, or a user, or a history of having been used or made would be a lifeless thing. A hammer, on the other hand, when its use (and power) is fully understood, when its use in human culture is known and accepted, and most particularly when it is swung to hits its mark and do its work, is not a lifeless object, but rather, a point of interconnection in the whole of life, unbound. Schools, too often, out of necessity due to their construction and constriction, treat children themselves as objects and as limitations, when in actual fact, they are far more boundless and interconnected than most teachers, administrators and educational policy makers might ever imagine. In truth, there are no boundaries between things, or between people or between people and the natural world that surrounds us. Life is made rich and full when we are encouraged to witness the interconnections between things, that too many regard as empty space. Today, I have grades 1-8 in wood shop at the Clear Spring School. 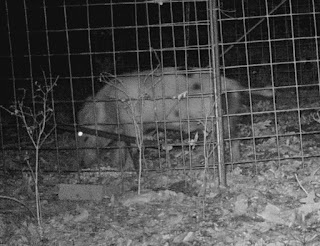 Each morning I go to our feral hog trap to check the game camera and see what showed up in the night. Very early this morning we had one boar that entered the trap, but due to the brightness of the moon, it was able to nibble corn right around the trigger without setting it off and closing the trap. As a sign of progress, this is the first time that particular boar was able to overcome its fear of entering the trap. Make, fix, create and dwell upon the mysteries of learning likewise. I have been storing woods in the barn which I built for that purpose. They've been in there for years, and I've been wondering what to do with all of it. Some may have not been worth my diligence in storing it, but nestled in are some treasures. During the early part of the great recession, (2008) I was reminded of depression era furniture, which was made from bits and pieces of scrap wood that furniture makers would have ignored during more prosperous times. So I went to the barn and pulled from what I had and made tables, nearly all of which sold during those dark times for our economy. Depending on what comes of this election, the barn full of wood may come in handy again. A friend wants a dining table, so I went to the barn to see what I have. One lovely option would be to use some of 5 consecutively sawn 16 in. wide boards of spalted maple as a top. This was wood that I had arranged to be milled on site and that has air dried for over a dozen years. Other material that I have, that would be interesting as a base for the table has a story attached. It is walnut, and I bought it a dozen years ago from a man who just showed up with truck and trailer loaded and wanted to sell. It is in dimensions of up to 3 or 4 inches thick. His story was that his father had milled the lumber and it was all that remained of his inheritance. He had worked with his father at what neighbors, had nicknamed “The Thick and Thin Lumber Company,” due to the fact that a single board might come out thick at one end and thin at the other. The good thing is that I have enough "thick and thin" wood to choose nice pieces that would work. Most of the lumber is much thicker than what I usually have in stock, and would make a massive base for a lovely table. Yesterday, I mentioned having wood available to kids in various dimensions that would allow them to exercise their own creative inclinations. Having a barn with wood serves in that way for me. In my wood shop I've been making boxes for an order from Appalachian Spring Galleries in Washington, DC. 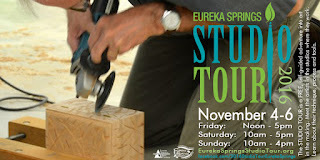 The new wood studio at the Eureka Springs School of the Arts is coming along nicely. It will be in a lovely setting as you can plainly see. what can you do with what you've got? 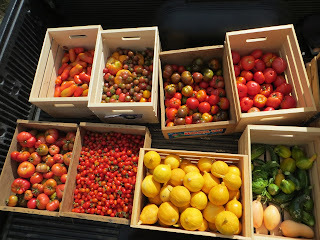 When I was a child, you could go to the grocery store and get most of what you needed for small woodworking projects from vegetable crates. They were made by the millions and provided materials that were just right for a child to make wonderful things. Of course, most went into the garbage or were burned, as that was considered to be an acceptable way of disposing of trash before plastic made the burning of trash ill advised. Vegetable crates, for those who do not remember, were most often made of two thicknesses of wood. The ends were of solid stock about 1/2 in. thick, with the sides and bottom being thinner material. But what's a kid to do these days if no material is available? “Choice of lumber must be determined partly by the viewpoint of the adult concerned, largely by the laboratory budget, and finally by the supply locally available. 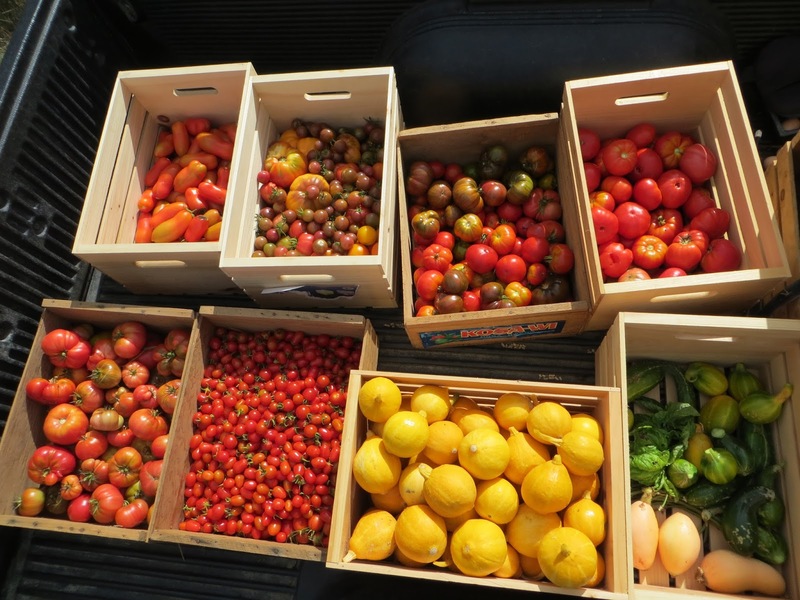 Excellent results have sometimes been achieved where only boxes from the grocery and left-over pieces from the carpenter shop have been provided. Such rough lumber affords good experience in manipulation, and its use may help to establish habits of adapting materials as we find them to the purposes we have in hand. This is the natural attack of childhood, and it should be fostered, for children can lose it and come to feel that specially prepared materials are essential, and a consequent limitation to ingenuity and initiative can thus be established. I have found that inexpensive grade 2 x 4 lumber when resawn into various widths and thicknesses provides and excellent source of supply and I have placed a portion of the quote above in bold due to its great importance. Today in the wood shop, I'll be making boxes. I am at the point of routing for inlay to fit the lids. Make, fix, create, and provide an example for others to love learning likewise. 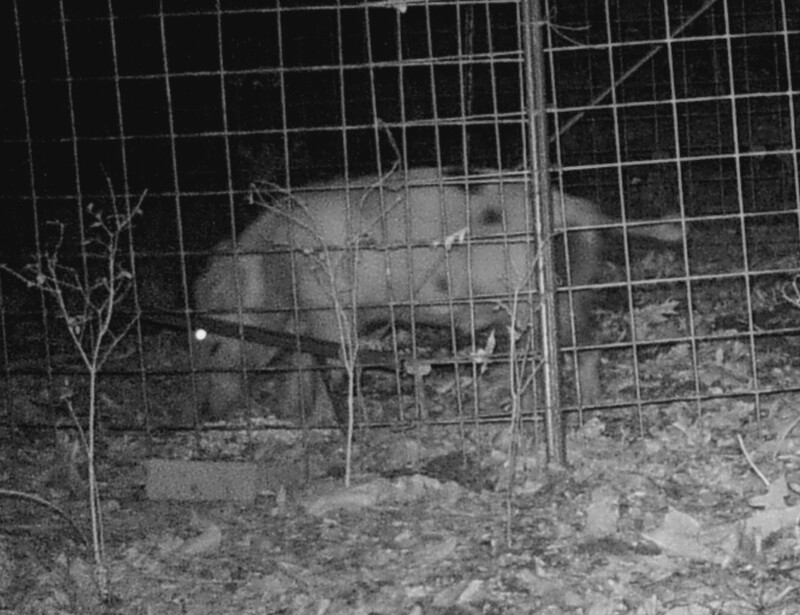 We continue to maintain our pig trap even though it seems the feral swine have become wary of it and careful to not go inside. Last night I went to a meeting with the Eureka Springs Parks Commission about developing an area wide strategy on our feral hog crisis. They demonstrated the boarbuster hog trap that can remove as many as fifty hogs at a time, but costs over $6000. I am hoping the city and county buy a few of them and thereby provide help that has not been forthcoming so far. On a lighter side, but still weighted by unwanted swine, Still on the Hill performed in concert last night and gave away copies of a new CD, Still a River, that celebrates our Buffalo National River with the suggestion that the Hog Farm sate agencies allowed to be built should be removed without further damage to our nation's first national river. The Buffalo River National Park attracts millions of tourists and millions of tourist dollars, and yet because of the way federal agencies tiptoe around states rights, the concerns of the Department of the Interior are ignored. Conservative Republicans in the state insist that corporations are overly burdened by regulations, and should be set free to do what they want, including polluting a national park. But the primary purpose of incorporation is to allow investors to avoid liability for what the corporation does wrong, and to the people and things it might hurt. When you invest in a corporation, the limit of your liability is the amount of money you put in. No more. So when corporations do really bad things, and are allowed to do really bad things, the costs are paid by either the taxpayer or the environment. In my wood shop today I'll be making boxes. At school, my high school students will be working on their shaker boxes. Make, fix, create, and offer others your example and encouragement that they may learn to love learning likewise. The relationship between thought and action is complex and uncertain. We have a perception of conscious choice that has been called "free will." And any one of us can have the sense of it as we make various decisions during the day. But what if those "conscious" decisions are actually self-deception arrived at in the brain prior to "conscious" decisions being made? I can under no circumstances claim to have any direct insight into this matter, but have questions as to whether or not consciousness is arrived at due to thought ("I think therefore, I am,") or whether consciousness is arrived at through the processes of action and behavior. Benjamin Libet did widely replicated experiments in which participants were instructed to push a button whenever they decided to while their brains were being observed through electroencephalogram. He found that brain activity indicated the button was about to be pushed up to 300 milliseconds before the conscious decision had been made. Subsequent research using more sophisticated and advanced brain scanning equipment has pushed the time lapse between the unconscious decision to act, and the conscious notice of it up to seven seconds, as described in this article, Brain Scanners See Your Decisions Before You Make Them. How does this apply to education? 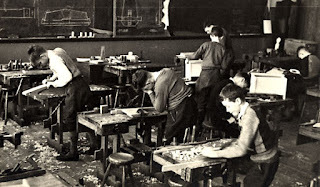 If learning was only about thought, we might have one system of teaching kids, that would require them to sit at desks. If learning is more about what goes on in the unconscious mind, being directed by processes staged through action we might design a system of learning in which children were empowered to do real things, of service to themselves, their families and communities. Even before I woke up this morning, the guitars I'm finishing knew that I would need to sand and apply another coat of finish. It was something in the finish itself, that led to the arrival of consciousness and a decision being made. It had dried slightly in the can and would not flow to a smooth finish without thinning. In my own wood shop, I'm making boxes. Today the Clear Spring School students will go on their fall camping trip. They were to go yesterday but were held back by rain. Make, fix, create, and offer to others at least a slight chance of learning likewise. Yesterday I received an order for boxes from Appalachian Spring Galleries in Washington, DC, and was reminded that they've sold my work since before the first Clinton Inauguration in 1993. At that point in American history, there were lots of Arkansans moving to Washington to take part in the new administration, and they were able to find my work for sale in their new city. The boxes and desk accessories I'll be shipping to Appalachian Spring Galleries are unchanged (in design) from the ones I first shipped to them so many years ago. I have been painting guitars, which is about the last physical work to be done on the box guitar book. I have made a "clown box" guitar, decorated with polka dots, and another one with the dots more constrained. Next comes a clear coat finish (on the guitar at left), and painting of one more guitar. Make, fix, create, and propose that others be given the chance to learn likewise. The contractor for our new wood shop at ESSA is making tremendous progress. Yesterday the concrete was poured for the machine shop floor. The pad shown in the photo will be furred up 2 inches, and then the surrounding floor will be poured up to the height from which concrete block will commence for a few layers up. What you see in the photo are the machine room in the back, the bench room footings at right, the gallery/entry space at left, and where the man is standing at left is on on the footings of the lathe room where there will be 9 large woodturning lathes. This will not be the world's largest wood working studio, nor the best equipped, but it will be ours, and a place where I hope many will be inspired to learn through their hands and find the joy of it. For me, this (as has been the whole of ESSA) is the start of a dream come true. Make, fix, create, and demonstrate for others the joy of learning likewise. This morning the contractor building the new Eureka Springs School of the Arts wood shop is beginning to pour the floor of the building, including the 2 in. recess above which a resilient floor will be built. The idea of the resilient floor is to provide cushion underfoot for those of us who may be old enough to suffer from foot, knee, back or hip problems or any combination thereof, and also to provide a place to run conduit for electrical supply that will not have to be mounted on the ceiling with suspended wiring. When I proposed the idea, it was a head scratcher at first, as the architect and builder wondered about how much the idea would add to the cost. 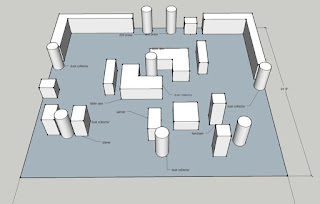 For this plan to work, a central conduit will be brought into the center of the room from which electrical power can be branched to clusters of tools. 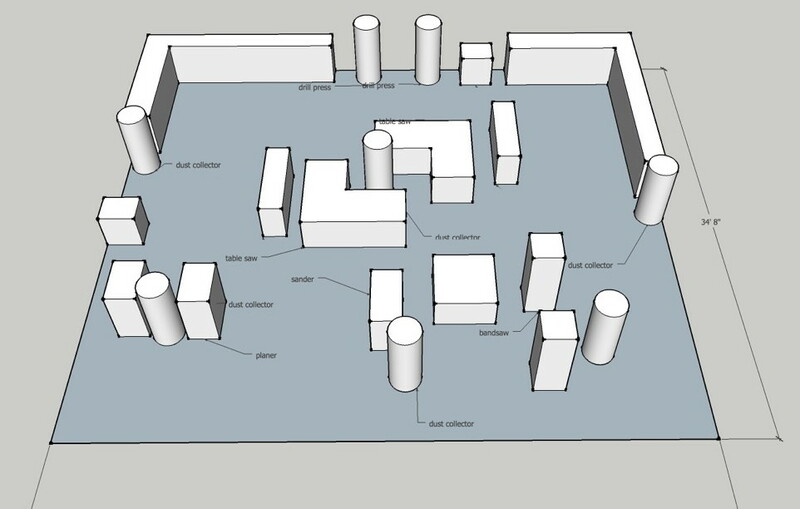 The sketch of tool layout shown above was very preliminary, done prior to the architect's design. Yesterday we held a fundraiser for the Clear Spring School scholarship program, and I also attended a fundraiser to battle the hog farm wrongfully in operation in the headwaters of the Buffalo National River. The Department of Interior has legal authority to protect the quality of its waters, but the state agencies, driven largely by the antiquated insistence that corporations can do no wrong, stand in the way of the river's preservation. In the woodshop this afternoon, I will have students grades 1-6. Make, fix, create, and extend to others an understanding that they may also learn likewise. Messy! I clean up my office, finish room and workshop, and in a matter of days, it's messy. 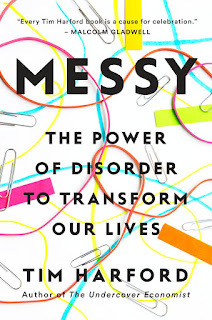 So is messy a bad thing? My students come to woodshop, wearing black, and observe, "I'm wearing black, AGAIN." And then they also note, that's not a bad thing. In getting sawdust on black clothing, they've evidence of having done something in school, evidence that does not come in their other subjects. Being messy is also the consequence of and evidence of doing more than one thing at once at the occasion risk of being distracted. 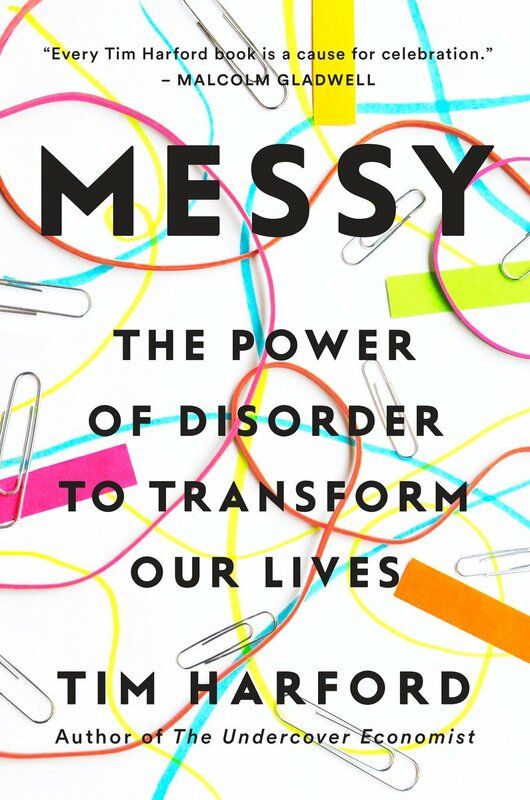 An article in Time Magazine this week, suggests the many benefits of being Messy. So, there, I've said it, and I make no apologies. I am irredeemably messy and while I'm not necessarily proud of it, it goes with the territory and is related to attempting to do several things at once. So what did I have in mind when I asked readers to help me establish the outline of the WOH book? the answer is simple, though it might be too much work for most. Simply read old episodes of this blog, and post a date or a link in the comments section if you think one of the important points of the Wisdom of the Hands concept (as you understand it) is well made on that date. So, for example, If you like what you read on June 1, 2009, post that date or a link to the post on that date. Mention, what you think might be the important of it. I hope to be doing the same thing myself. Yesterday I again spent the day at my desk, so have little to actually show for it. I might as well have been wearing black. But I did get photos off to my editor for 3 chapters of the book on making box guitars. Make, fix, create, and suggest to others the joy of learning likewise. I have been re-examining the scope and proposed contents of the book that I hope to write about the Wisdom of the Hands, and anyone who follows the blog would realize that over 10 years of content needs to be edited to its most compelling form. That leads me to ask you to tell me what things you read here have been most important to you, and what things you will want me to emphasize to what I hope will be a broader audience. In other words, as I revisit the outline of a proposed book, you, my first readers, have an opportunity to help. Thanks! 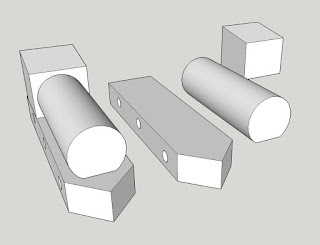 One thing that came up in email yesterday was a request for plans for the trains we are making at CSS with first, second and third grade students. I have started working on that. Make, fix, create, and offer others the challenge of learning likewise. I spent most of the day yesterday continuing writing chapters and captions for my book on making box guitars. The particular chapter's I'm working on now are on electrifying the guitar and on making bridges, tail pieces and nuts. My preferred local wood for bridges is persimmon, the only North American member of the ebony family. Persimmon in the Ozarks is noted for the persimmon fruit that ripens just about the same time the leaves are falling from the trees. The wild persimmon fruit has an astringent taste until just after the first frost, so be prepared to pucker up on the first bite. Yesterday I showed one of my students using a shooting board, a subject I had shown before in the blog. Follow this link for instructions. The bridges shown are (at top) ukelele style bridge made of persimmon and routed for a bar type peizo to fit, and another electrified bridge, also of persimmon. Make, fix, create, and extend the likelihood that others learn likewise. It is time that we acknowledged how important our trees are to us, but to also acknowledge how important whole forests are. I have been reading Peter Wohlleben's book, the Hidden Life of Trees, What they Feel, How they Communicate. The story he tells is that forests are actually communities very much like human ones, although the communication between trees is slowed to a forest's pace, barely discernible to human observation. As I have said, it can take well in excess of a hundred years for a hardwood forest to mature. In light of Wohlleben's information, we learn that the real culture of the forest may take thousands of years to mature. Mere centuries are not enough. The forests we have now are fractured, having been clear cut and abused any number of times. And the human culture we inhabit? The same can be said of it. Friedrich Froebel, having grown up in the Thuringian Forest, having served as a forester's assistant, and seeking to reinforce the child's sense of wonder and wholeness, would have known a great deal about this. I found it interesting that Peter Wohlleben lives and works near the forest where my father was encamped during the Battle of the Bulge in WWII. Yesterday in the woodshop, I introduced one of my students to the shooting board, with which he could square his stock and bring individual hand sawn pieces to exact uniform length. He has become my star pupil in that he fully grasps the importance of square cuts and is excited about the effort taken to achieve quality in his work. Unlike some of my students, he appears to understand the value of practice and is therefor willing to do it. Make, fix, create, and thereby suggest the possibility that others may learn likewise. Yesterday I was tied to my desk as I wrote one chapter of my guitar book, and started the text and captions for another. That, I guess could serve as a reminder of what so many face. It is extremely important to get up now and then to do real things. Students and adults alike spend too much desk time. Fortunately I will have something to show for my desk time, in that in about a month and a half, my book will be ready for the editors and book designers to put it in shape for publication. To reclaim the real, both in the way we encounter other people and in the way we encounter things, would have implications on education. They are crystallized in the following quote from Doug Stowe, a woodshop teacher and first-class thinker about education: 'In schools, we create artificial learning environments for our children that they know to be contrived and undeserving of their full attention. Without the opportunity to learn through their hands, the world remains abstract, and distant, and the passions for learning will not be engaged.' –Matthew Crawford, author of Shop Class as Soulcraft, from his new book The World Beyond Your Head. Today, I will continue desk time to get another chapter wrapped up, but then go to school to work with first, second and third grade students in the afternoon. Make, fix, create, and offer others the opportunity to learn likewise. Today I plan to spend the day writing text and captions for a chapter or two on making box guitars for the deadline is now just over a month away. In the process, I go through my step by step slides, describe the processes involved and indicate where captions and photos are to be inserted in the running text. Yesterday my first, second and third grade students began finishing their toy trains as you can see in the photos. Make, fix, create, and offer others the likelihood they too, can learn likewise. Each crafts person working in wood has the opportunity to give voice to our forests. Just as human beings tell our own stories in words and through the things we make, trees are storytellers, too. Where there’s a knot, there had been a branch, and each day in the life of the tree and of the forest is recorded in color, figure and grain. The story told by and through wood is of the interconnectedness of all life. In the hands of a caring craftsperson, that story is then preserved and passed through to new generations. I strive to use woods that are sustainably harvested from my local area and present them in their natural colors. I make use of natural edges and textures to enhance design. I attempt to use the technical and aesthetic properties of various woods to their best advantage in the work. I attempt to make useful work that will last for generations. In signing my work, I identify the types of woods used so that others may learn to recognize them and know their beauty, usefulness and value. I make certain that by-products (sawdust and scraps) of my work are recycled to best use. And through the creation of useful beauty, homage is offered to the spirit of the trees that have taken part. If, by chance, however, you are not a woodworker, there are things you can do to help. Planting trees is a really feel-good-deal. If you don't have a spot to do it yourself, Global Releaf can help. If you have a need for some shade, you can get free trees by becoming a member of the National Arbor Day Foundation. But there is no way to plant a true hardwood forest. Our existing hardwood forests are extremely complex eco-systems that we must preserve and protect. One of the best ways to protect our forests is to support the environmental organizations that focus on the protection of natural habitat. You might consider the National Wildlife Federation, The Nature Conservancy, or the World Wildlife Fund. Our forests are our most important line of defense against climate change. Human induced Global Warming has placed them at great risk. Rather than conserving energy and building new solar capacity, conventional utilities have been building “green energy” plants that are not truly green. These generation plants in Europe and the US burn pellets made from American hardwood forests that are assumed “renewable” even though it may take centuries for a forest to mature. Chipper mills process thousands of acres of immature hardwoods each year. New mills have been built all across the Southeastern United States, and more are being planned. These mills convert hardwoods to pulp for paper mills and fuel pellets for export. While the industry touts their efficiency, the conversion of hardwood forest to pulp and pellets is a serious threat to those who have enjoyed working with these woods and who hope to leave a legacy of that work to future generations. Woodworkers and those who have enjoyed the benefits of their craftsmanship look to a bleak future if the chipper mill expansion is not stopped. The Dogwood Alliance is an association of environmental organizations that is working to educate the public about the threat posed by chipper mills. I endorse the activities of the Dogwood Alliance and encourage your support. The most important consideration for the future of our forests is the way we live now. We must learn to become more conservative and caring in our use of resources of all kinds. We must learn to look beyond surface effect and low price to seek quality, integrity, and meaning in the things we buy. It is also important to go out into nature and experience it and allow ourselves to become transformed by it. The wood thrush that sings from the treetops on my eleven acres of woods has a winter home in forests of other nations far to the south. When she returns in the spring, her song brings relief. I am concerned for the world's forests and hope that together we can do more to protect them. As you can see my attempt to install quadrant hinges using my flipping story stick technique on the router table was a success. I've been telling my box making students for years that this is possible, and having done it once will make the next time easy. I made a small keeper story stick that will assist in setting up the router and stops anytime I want to use this particular type of hinge. As long as I use the same kind of hinge, and keep the story stick available, the process will be made easy. Kim asked for a list of tools that would be useful to elementary school students in learning to do woodworking. Large screw driver, wooden handle. Brace and set of twist bits. Utility box—with assorted nails, screws, etc. A more modern starting out list might be somewhat shorter. Instead of having all these tools at each individual workbench, my preference is that the tools be put away in the classroom at large when not in use and so smaller numbers of each tool will suffice. Quadrant hinges are among the most difficult to install in small boxes due to the fact that three routing operations are required for each corner of the box. Normally they can be installed using a router template that can be purchased from the manufacturer, but these may not be interchangeable between brands of hinge. I had become convinced that using the flipping story stick approach on the router table would be the easiest way to address the complication of this hinge and without having to purchase an expensive jig. So what you see in the photo is the start. I am using a piece of 1/8 in. thick Baltic birch plywood with the first router mortise formed as my flipping story stick. The stop block on the right has been clamped in place, and I am ready begin routing the hinge mortises. This is a technique that I hope will inspire yet another article in Fine Woodworking and allow those who have these complex hinges stored in their hardware drawers, dust them off and put them to use. All tools and technologies are intended to take difficult and challenging operations of various kinds and make them easier for the common folk with little or no skill. If we want our children to learn, and grow into fulfillment, however, we must launch them into doing difficult things, that require their full attention and interest. Make, fix, create, and make it likely that others will feel inspired to learn likewise.